Fall is a uniquely wonderful season in the Pacific Northwest. The Evergreen state turns into the red, yellow, and orange state and the aroma of pumpkin spice fills the air. Seattle Southside takes pride in the season with plenty of fall events, holiday buffets, and a wide variety of fun indoor attractions. Here’s a sample weekend itinerary for your fall visit. After checking into your hotel, start you weekend off on the right foot with a hearty breakfast at the Pancake Chef. For nearly 60 years, the Pancake Chef has been serving up delicious specialty pancakes, chicken fried steak, omelettes, and more. The classic atmosphere and savory and sweet breakfast combinations make this hidden gem one of the best breakfast options in Seattle Southside. 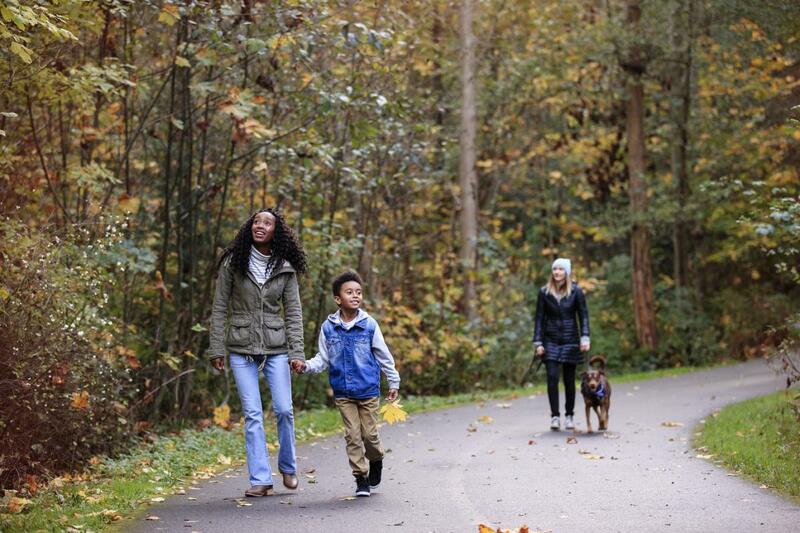 After breakfast, head down to Des Moines Creek Trail for a walk through the falling leaves. You’ll have a chance to take in that crisp, fall air and get well acquainted with the scenery of the Pacific Northwest. If you happen to work up an appetite, just up the street from Des Moines Beach Park sits TripAdvisor’s #1 restaurant in Des Moines, Wally’s Chowder House. Warm up with a cup of Wally’s famous clam chowder and munch on their fresh and local fish and chips. You’re on vacation so you don’t want to get overwhelmed on the first day (save that for the second), instead, ease into your evening with a spa treatment at the Cedarbrook Lodge. The Spa at Cedarbrook offers spa treatments ranging from a Swedish massage, to a sea salt exfoliation, to an oxygen facial and several combination packages. Once you’re feeling relaxed and rejuvenated, sit down by the fire and have an exquisite meal at Copperleaf Restaurant (also located inside the Cedarbrook Lodge). Finally, get some rest for your second day of autumn adventures. Start your morning off with a coffee or milk tea from 85 Degree Bakery Café. The Taiwanese coffee shop/bakery has proven to be quite popular in Seattle Southside, so get there early to grab your hot cup and Danish or multigrain bread. Next, head down the street to the aviation/spaceflight capital of Western Washington, The Museum of Flight. The museum houses an original Air Force One, an SR-71 Blackbird, a NASA Space Shuttle Trainer and much, much more. Plus, if you happen to be visiting around Halloween, the museum turns into The Museum of Fright, with plenty of Halloween activities and games for the kids. After a few hours at the museum, you’ll undoubtedly be ready for lunch. When the weather cools off and there’s a chill in the air, soup always seems to hit the spot, and authentic Japanese from Arashi Ramen is soup+. Hearty and savory bowls of pork broth filled with spices, egg, veggies, and perfectly cooked noodles make for a filling meal that the whole family will enjoy. 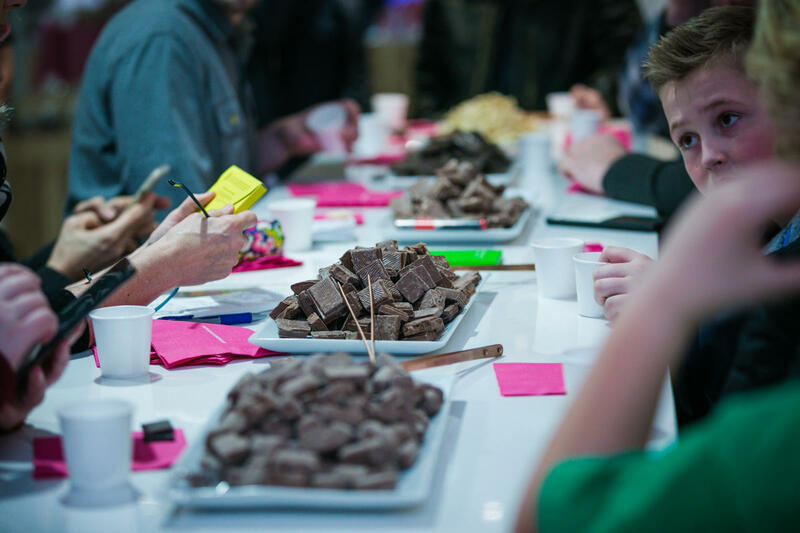 If you’ve got a sweet tooth, the Seattle Chocolate Factory Tour is a must. You’ll learn about their sustainable sourcing, see how their famous truffle bars are made, and of course, there will be plenty of post-tour samples. Also, similar to The Museum of Fright, if you’re visiting around Halloween, the tour gets completely transformed into a spooky, lights out experience with ghouls and goblins on the Haunted Factory Tour. However, be warned, these tours sell out every year, so you’ll need to book well in advance! You’ve reached your final meal of your trip and don’t worry, it’s a good one. Dine in at Sharp’s Roasthouse, just down the street from the airport. When we’re talking about comfort food for the soul, it really doesn’t get much more comfortable than Sharp’s. 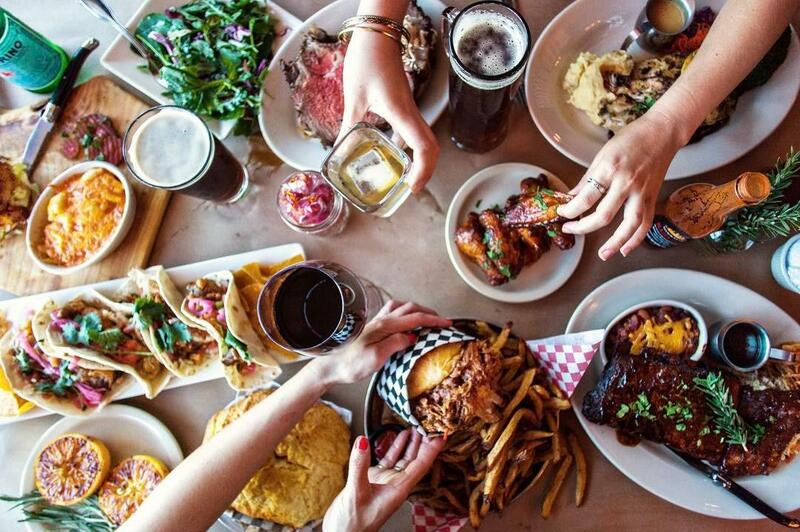 They specialize in meats like their classic prime rib and cheddar dip, St. Louis ribs, Carolina gold BBQ, buttermilk fried chicken, and their prime-grade marbled beef “hamburgs.” You’ll end your fall getaway on a high note…in a food coma.